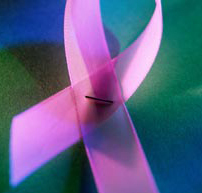 October is Breast Cancer Awareness month.Breast cancer is the most common cancer. One in nine women is diagnosed with it in their lifetime. That means either you or one of your eight female friends are likely to find a cancerous lump on her breast. Thankfully survival rates have improved significantly in the last two decades and this is largely due to a greater awareness of the cancer, more research leading to improved treatments and the introduction of screening programs across Europe. You can support Breast Cancer Awareness month by either donating funds, participating in a charity ‘friendship' walk or organising your own event to help raise money for research. For a fundraising pack visit Breast Cancer Campaign website. Also Breast Cancer Care, an organisation that helps patients and their loved ones deal with breast cancer has an official In the Pink day on Friday 24th of October. To think that every eleven minutes someone is diagnosed with breast cancer in the UK, wearing a bit of pink for the day to raise a couple of quid for a good cause isn't really a huge effort.